Some of the sweetest images (in my opinion) are maternity photos. I don't know what it is... the expectation, the excitement, the glowing mother-to-be... it's all such a precious time. I know Rachel and Ethan are looking forward to meeting their baby girl in just a few short weeks!! They are going to be wonderful parents – I can tell just by the way they care for each other. Can we talk about what a goddess Rachel is? This blush dress and that flower crown adorning her golden locks are just beautiful! 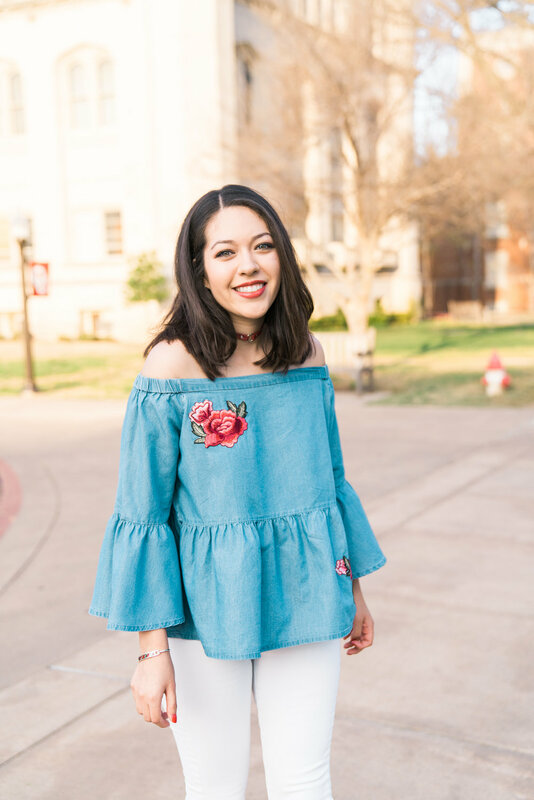 Based out of OKC, Social Butterfly provides clients with a game plan for promoting their businesses by consistent, creative daily social media posts. (<---Their words, taken from their Facebook page because that sums it up perfectly!) 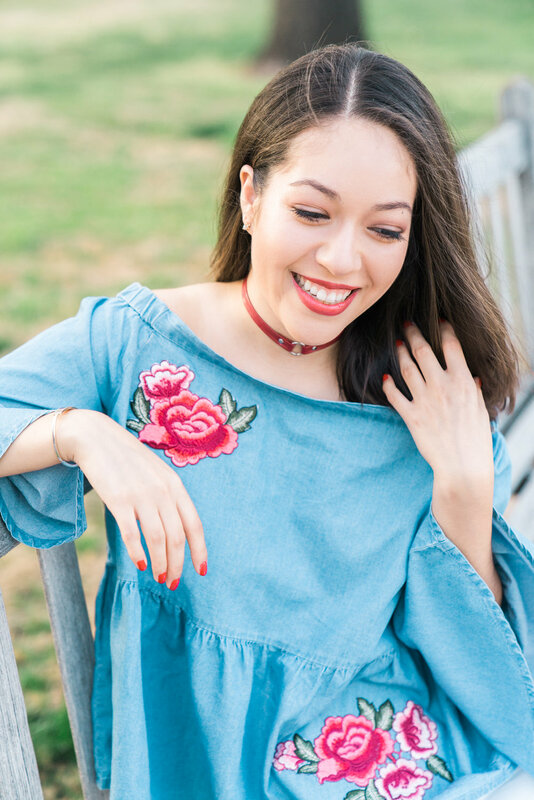 Laynie is a get-things-done, no-time-to-waste social media guru who has a gift for making plans and seeing them through in a timely manner. 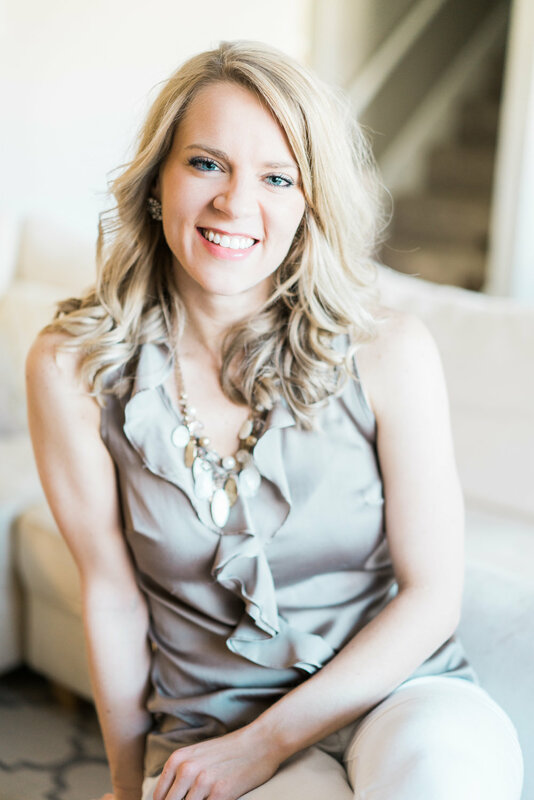 Nichole is an attentive, supportive strategist who is going to meet client needs and connect with them on a personal level. Between these two sisters, you have a rockstar duo who can run your company's social media and get you business. And me? I get to photograph for them and their wonderful clients so that their Instagram feeds look all pretty. 😉 Hello, dream team! You may be asking, Why a styled shoot? Styled shoots are a fun, visual way to showcase your brand and personality via social media. In addition to traditional head shots or product shots, styled shoots a.) help you show off your personality and brand; b.) give you content for marketing purposes; c.) display your products or services in a tangible and often unique way; and d.) simply put, they attract a following! For Laynie and Nichole, their styled shoot meant showcasing themselves not only as business women, but as wives and mothers; coffee and donut connoisseurs; and lovers of all things pretty. So we had a little fun baking in the kitchen, playing with makeup, chillin on the couch, soaking up the sun on the patio, working in the office, and so much more! A styled shoot can be almost anything you want it to be. Social Butterfly knew exactly what they wanted, so they came prepared with multiple outfits, items for me to photograph, and themes in mind. They pulled out all the stops! Now you might be thinking, That's great for them, but I wouldn't even know where to begin! Friend, that's totally okay! I am here to help you choose locations; decide on outfits and overall looks; select items; come up with themes that represent you and your brand; and attract your target audience! (And BONUS –– if Social Butterfly is managing your social media, THEY get to plan all of it for you so you don't even have to worry!) Win-win! I cannot wait until my next session with Social Butterfly, and I also cannot recommend them enough! If you own a business and running social media isn't your forte; if Instagram is taking up time you could be meeting with clients or doing the things you love most; if Facebook is causing you grief because you don't have a strategy and you feel like you're all over the place, maybe it's time to hand your social media accounts over to Social Butterfly and let them work their magic! For more on Social Butterfly, check out this blog post by Finding Freedom to get ALL the info! And be sure to follow these girls on Instagram @socialbutterflyokc! Ready to book your styled shoot? Need a quote? Let's chat! Almost every time I sat down to work on Cindy's photos from her OU Senior Session, it seemed it was cloudy or raining outside. So seeing these bright and sunny photos and Cindy's gorgeous eyes always brought a smile to my face! 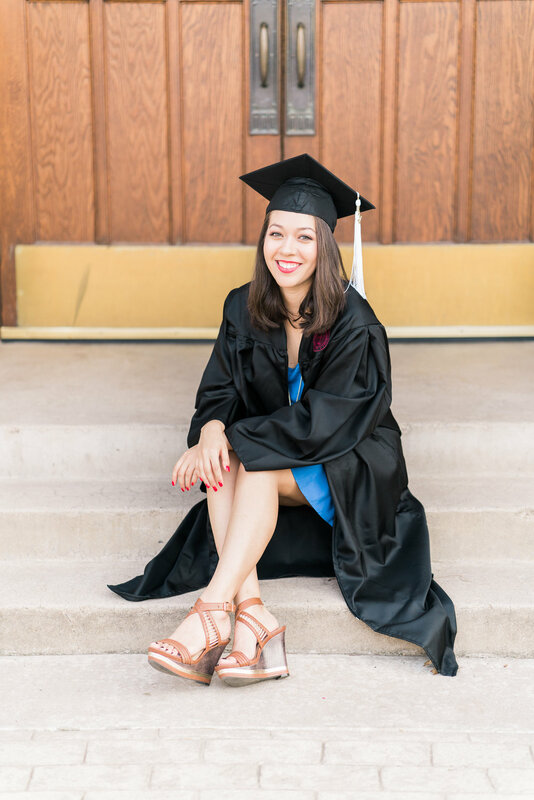 I can't tell you what a treat it was to take this sweet girl's photos and help her document this milestone in her life of graduating from the University of Oklahoma! Just look at that smile and those bright eyes! And Cindy's sapphire blue dress was the perfect compliment to our surroundings on OU's campus in bloom. I'm sure Cindy has walked this path along the South Oval many times during her career at OU. I can't help but get all sentimental thinking about my own experience as a college senior when I was at Texas A&M, and how dear it was to have my photo made in places that felt memorable or important to me. Of course no Senior Photos are complete with out donning your cap and gown! This is where it get real, y'all. I'm so excited for Cindy! I think she has a bright and promising future ahead of her! Sometimes you just need to dive into something new. Which is exactly what I'm doing with my new blog series, "Friday Features." See the thing is, I have a lot of talented friends with giftings that really aim to serve. These friends are creatives who pour their hearts into what they do and are working hard to build a clientele, a follower base, or a readership. They are people whose kitchen tables have become their offices. They've traded in their blazers for aprons; their computers for paint. They spend 8 to 5 at their day job and 5 to midnight at their dream job, side job, creative job, or whatever they like to call it. They are writers, calligraphers, artists, teachers, sewers, bloggers, and so much more. And I'm so excited to tell you a little bit about them! So speaking of diving into something new, my first Friday Feature, Mary Rachel Fenrick, just launched her brand new website for her blog, Finding Freedom. Mary Rachel writes about marriage, motherhood, running marathons, living a healthy lifestyle, and so many other topics. 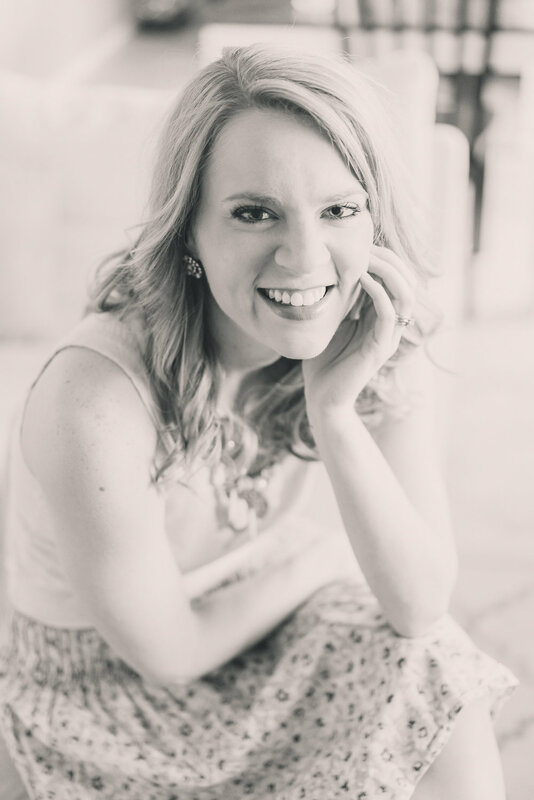 The things I love about Mary Rachel's blog is that she's relatable, honest, encouraging, and approaches her writing through the thing she values the very most – her relationship with Jesus. She wrote a post recently where she talked about accepting herself as an introvert and being proud of who God made her to be, and the whole time I was reading it I just kept thinking how glad I was that she wrote it! We need less fluff and more honesty on blogs, don't we? Along with her new site, Mary Rachel got some new headshots (taken by yours truly) and I have to say, she looks fabulous in them! We took these in her home and I love the way they turned out. I'm so thankful we got to partner together for these! I hope you'll check out her updated site, and subscribe to her blog while you're over there! I understand that there can be a few unknowns about hiring a photographer. My aim is to make sure you have zero unknowns when you hire me. That is why today I'm showing you a little behind the scenes peek and answering all your questions about one of my favorite things –– client galleries! What is a Client Gallery? A client gallery is the platform on which you will view, download and share your digital images and purchase your beautifully edited prints after your session. Why are Client Galleries so Exciting? Who doesn't like to "ooo" and "ahhh" over their photos!? There's something about viewing your images in this beautifully-crafted grid that I know will take your breath away. When Will I Receive my Gallery? Your gallery will be emailed to you just a couple of short weeks after your session. I'm usually pretty darn excited when this time comes! Is My Client Gallery Mobile Friendly? 100% YES! I love the fact that my clients can view their photos on the go, easily save them to to their phone and post them to Instagram. How Can I Purchase My Prints? With the gallery's storefront feature, you don't have to worry about finding another resource for purchasing prints and canvases. Your client gallery is literally a one-stop-shop! How convenient is that!? Can I Share My Gallery With Friends and Family? Totally! It's the best way to show off all your brand-new photos, and it's as easy as clicking the "share" button. And say you're sending your newborn gallery to mom... even she can purchase the prints she wants at her convenience! There you have it! Just another peek behind the curtain of KBP. Did you find this post helpful? Share it now with a friend! Do you have more questions? Leave a comment below and let me know what else you might like to know about client galleries, or any other aspect of KBP! Today I've got a little Throwback Thursday action for ya! I'm taking us back to three of my favorite sessions with my Class of 2016 Seniors. I thought I'd tell you a little about my sessions and get all of you 2017 Seniors geared up for your photo shoots! 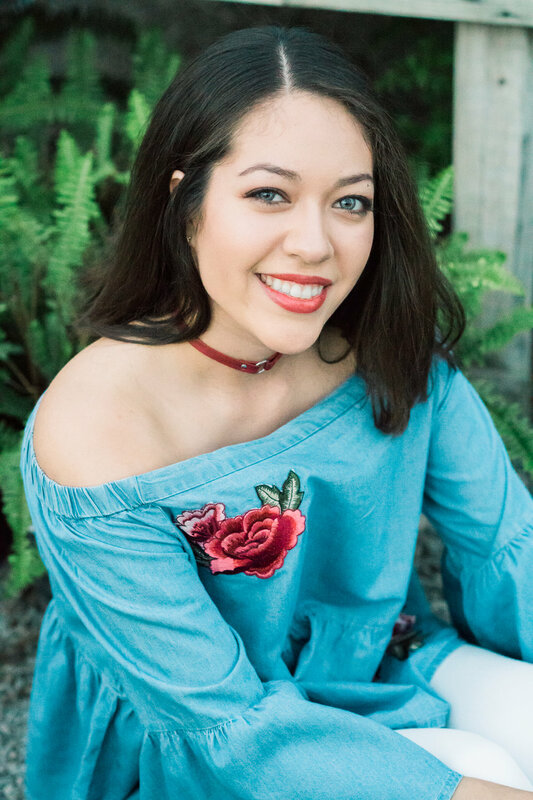 Whether this is your last year in high school or your final year of college, I hope this post provides you with inspiration and excitement for documenting your time as a Senior! When Margaret showed up in this adorable Anthropologie top, I knew it was going to be the perfect pop of color without going overboard. 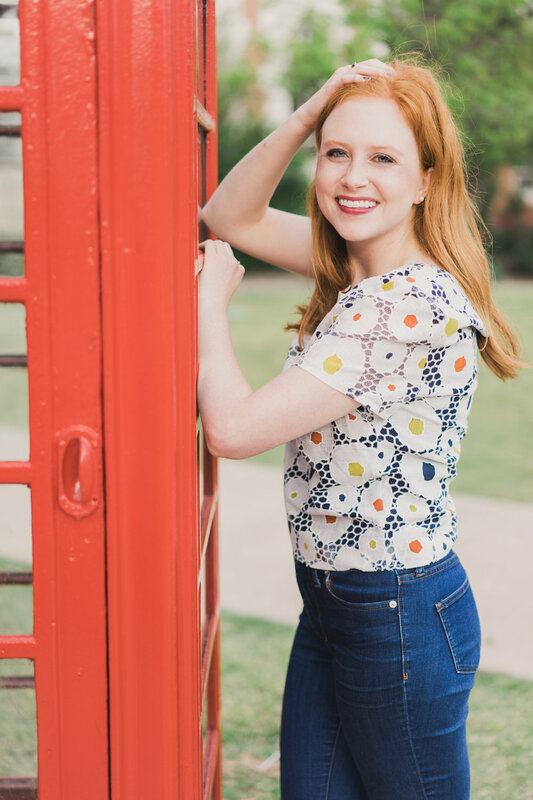 My favorite thing about this outfit is how well it coordinates with her surroundings – especially the famous OU campus telephone booth! When the wind comes sweeping down the plains in Oklahoma, there's only one thing you can do – embrace it. Margaret did just that, as she tamed her blowing locks for this adorable, candid shot in front of the beautiful campus ivy! No Senior Portrait Session is complete without a classic cap and gown portrait. Underneath the OU Clock Tower, Margaret showed off her precious graduation day ensemble and killer smile. When Ryne booked his OU Senior Portraits, he knew he wanted photos that commemorated his time as a Sooner, as well as shots that would carry him through into post graduation. So we split his session in two, hitting up OU's South Oval as well as downtown Oklahoma City. There's nothing better than picking out a snazzy suit and smiling for some super modern headshots. Ryne is out of college and now into his career, and he's still able to use these photos for all of his professional profiles. Win-win! Erin's style is so much fun. She is somehow able to simultaneously be both natural and bold, simple and eclectic. I love her color choices and layers with this outfit, don't you? And the hat really brings out her personality! Talk about a fun session! 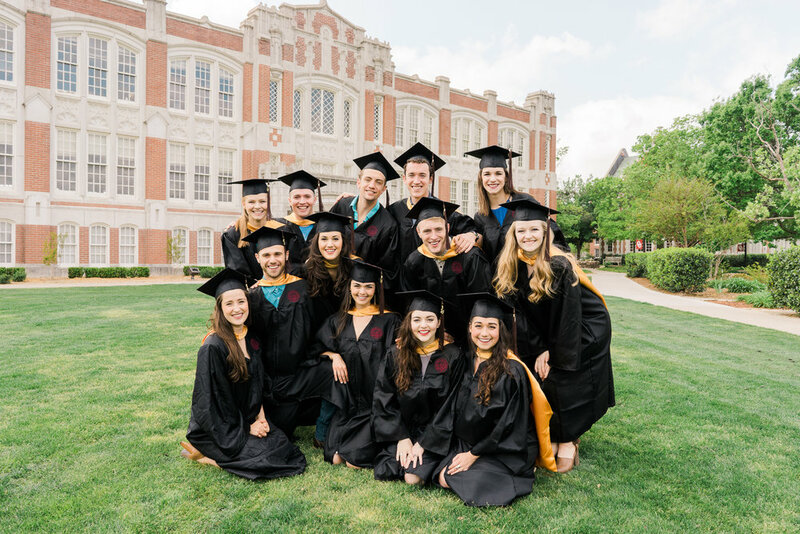 The 2016 OU Musical Theater seniors had a blast in front of my camera, and I have to say I had just as much fun (if not more) behind it! I love how well the girls and guys coordinated dresses and shirts. Blues, greens and neutrals are so attractive on this group of senior stunners. We took photos at all of their special places on OU's campus... Carpenter Hall, in front of the fountain, all over the LOVE sign, and along the North Oval. I have to say, I think more seniors should do group photos. It's the perfect way to document your time together and your friendship, and to celebrate all that's ahead! 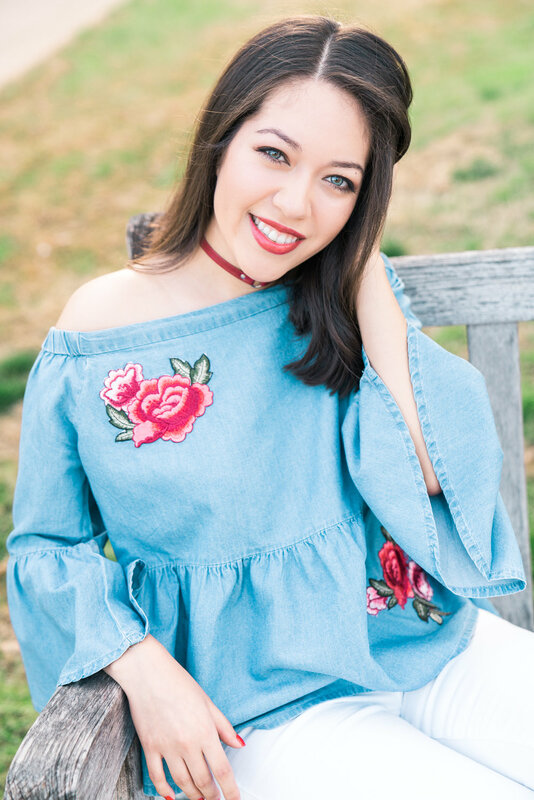 One of my favorite things to do before a session is meet with my seniors and talk through all the fun details... what to wear, shooting locations, and how we'll make their photo session unique to them. This ensures that every senior is getting exactly what they want and that all expectations are met! They day of your shoot, expect to become a true model! Between professional hair and makeup and dressing in your new favorite ensemble, you're going to feel like a million bucks. Then when your photos are finished, you'll be wowed with pristine albums, gorgeous framed prints, and an eye-popping new profile pic will be the cherry on top. 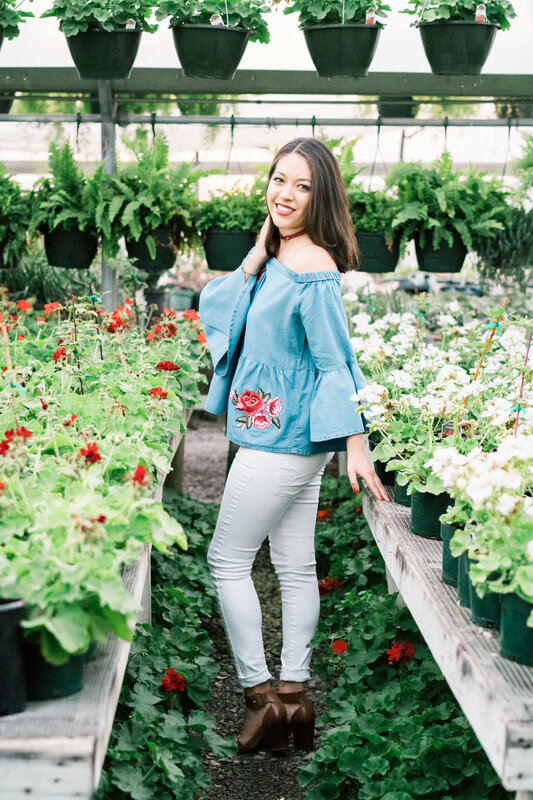 Your senior photos will be some of the most special ones to you and your family for a long, long time. That's why I'm here to make them great! Now that spring semester is here, it's time to get your session on the books! 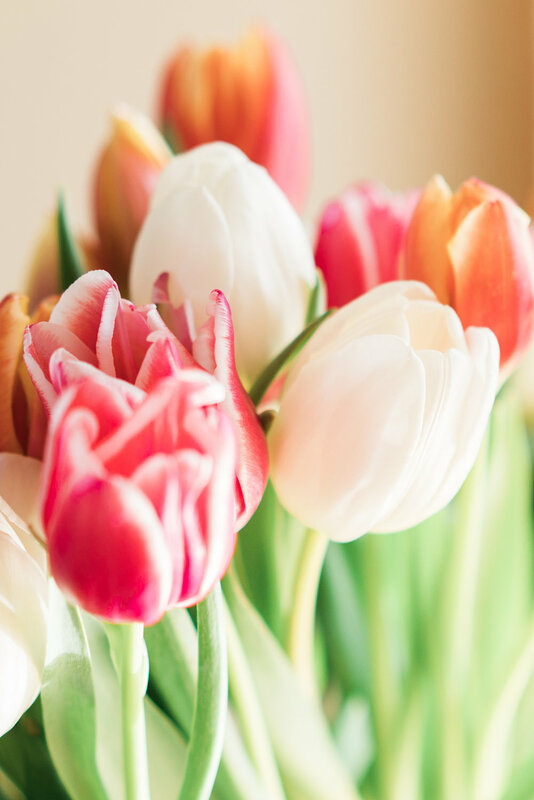 Spring dates fill up fast, so don't wait!